The Paul knives from Lone Wolf have appeared in several forms to date. This new Paul Executive series is a great size. 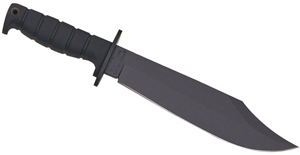 It’s not as short feeling as its 2.5″ blade would make it seem, but it is very slim. That makes it useful but still easy to carry. They don’t come with pocket clips but fit nicely into a pocket. Boker of Solingen, Germany has produced razors for over a century, but not in recent history. They are doing it again! These are not inexpensive, but are world class and, when placing a “razor” sharp object to your face, would you want anything less? Their Damascus Steel blade model is available for preorder only at this time. The Buck Knives custom shop is always coming out with beauties for your collection. This year is no exception. These buffalo horn folders are still reasonably priced enough to be your “carry” knife, but exceptional enough to be collectible. We are starting to integrate a new menu system at the KnifeCenter. Right now, you will only see it on the item detail pages (go to any item to see it), but soon they will be all over the site. The menu options drop down when your mouse passes over them and allow for the most complete navigation possible. Try it out and let us know what you think! Boker always has such wonderful damascus and this year they have even more new models than normal. The Kalashnikov Damascus has the Leo-Damascus steel forged out of the barrel of the German battle tank Leopard I. This one is etched so that Kalashnikov’s name is in the layers of steel! We also have another Damascus WWI Trench knife: this one with a stag handle. It’s a gorgeous fixed blade with a Damascus blade (180 layers) from high performance ATS-34 and 12C27 Sandvik steels. Only 500 will be offered world wide. 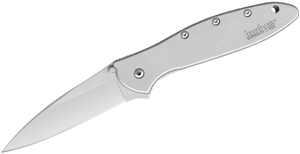 Buck Knives has released the Bravo which was built for work. The blade configuration allows it applications like scraping and chiseling that other blade shapes just don’t approach. The construction is Buck Knives Tough, as are their combat/tactical folders. 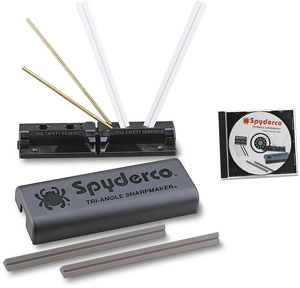 Instead of using a combat knife for your carpentry work, try a knife built for it! The Buck Knives Raven is a classic fixed blade we are really glad to see it in production. Rob Simonich was a friend to the KnifeCenter, both personally and professionally, and he has been sorely missed since his passing several years ago. His widow has teamed up with Buck to produce a collaboration knife, and we are proud to carry it. The Raven Legacy takes many of Rob’s innovations and puts them into a knife which soldiers and civilians can afford…and depend on.